It does not take too much effort to find a game that's heavily inspired by the challenging turn-based tactical title X-COM: Enemy Unknown nowadays. But there is something to be said about encountering one that's well-made and reminds you why the X-COM formula is often so compelling. 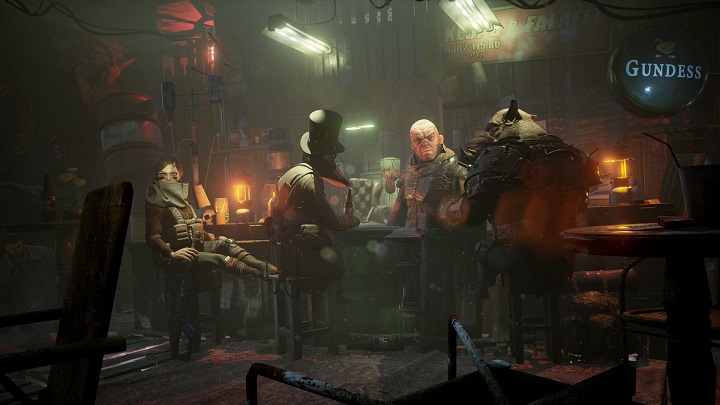 Based on a fairly old Swedish pen-and-paper RPG, Mutant Year Zero: Road to Eden intends to do just that by taking its source material to the strategic, turn-based video game realm. It is a title that has some fresh ideas, even if its road to paradise is anything but neatly paved. 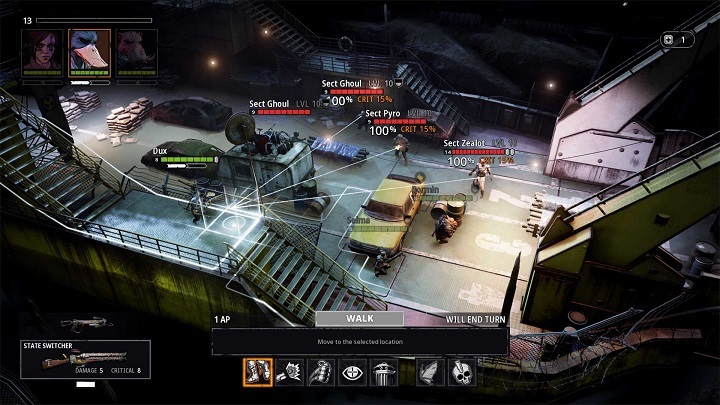 As one would guess from something strongly influenced by the late XCOM titles, Mutant Year Zero: Road to Eden boasts gun-centric turn-based tactical combat as well as plenty of oppressive difficulty options, such as permadeath or autosaving after every turn for those masochistic enough. But, beyond that obvious parallel, Mutant Year Zero revels in its post-apocalyptic world-building far more than X-COM. One of the primary distinctions is that the units the player has control over are mutants (referred to as "stalkers"), such as the on-the-nose titled "Dux," who as one likely guessed is an anthropomorphic duck, to the less obvious ones like the human-like Selma who can do stuff like bind enemies to the ground with tree roots despite looking relatively normal otherwise. The more inspired aspects of the game come into play rather quickly as there is a heavy emphasis on stealth and gathering resources throughout the various zones. Most enemies have bright red vision cones and it is up to the player to wisely, or not, attempt to thin down enemy numbers before they can attempt to call reinforcements and likely start up a prolonged and difficult turn-based combat scenario. It creates an intriguing blend of real-time and turn-based elements while also encouraging thorough exploration for a new gun, piece of armor, or maybe even an old "relic" to bring back to the home base, referred to as the Ark, for various permanent upgrades. While the player feels woefully equipped for most things early in, including stealth (with only one member able to use a silent weapon at the start), the game eventually starts to balance out as one garners new levels, skills, and equipment. There is a fair amount of flexibility in tactical options such as lopping a grenade to destroy enemy cover to the more supernatural mutant-specific skills like sprouting wings and taking potshots at foes at higher ground. Despite there being a small amount of playable characters there is enough flexibility in their skill trees to encourage a diverse approach to each confrontation in addition to attempting to wisely utilize stealth options or gathered resources when one is able to do so. The least inspired aspect of all is likely the storytelling itself, unfortunately. While the post-apocalyptic title most certainly has a heavy emphasis on atmosphere (and is generally better for it), the narrative plot twists are not only signposted long in advance but also leave one feeling like so little happened by the end journey with its shallow sequel tease. At the very least, however, it is somewhat amusing that the lead cast like to treat "ancients" throughout (or rather those akin to modern civilization in our world), by poking fun at the impracticality of many pieces of their technology or outright misinterpreting the usage of much of it. More important than story qualms, though, and perhaps the biggest problem I had with playing the game at launch was its various technical issues. The biggest issue had to do with enemies being called in as reinforcements yet being unable to reach me (...or some taunted by one of the skills that I enjoyed using) and, conversely, I was unable to reach them, which left the title in a game-breaking state that made exiting combat impossible beyond being forced to reload an old save. Thankfully, despite happening a couple of times near the beginning, it was mostly patched out in recent updates. A few other technical quirks did consistently surface elsewhere, such as awkward load times and frequent visual stutters on PS4, which can distract from the experience. 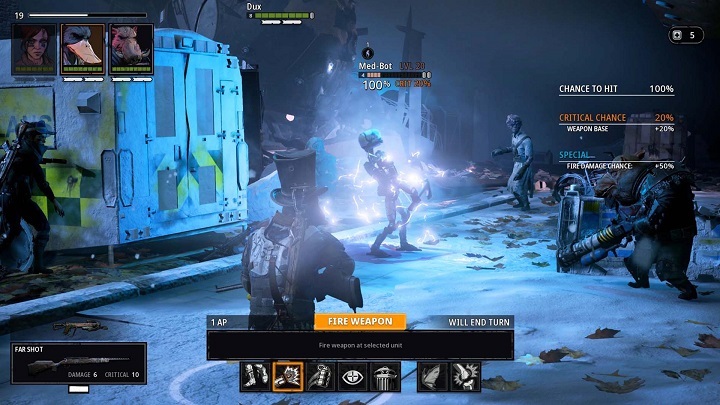 As a first debut Mutant Year Zero: Road to Eden gets a fair amount right with its rewarding tactical gameplay and generally well-implemented stealth/gathering systems. Where it stumbles, unfortunately, is in its technical implementation (especially at launch with some game-breaking bugs) and a narrative/cast that is not all that compelling. There is still enjoyment to be had in this adventure despite its rough edges, however, and for those looking for a solid X-COM-like that tries its hand at some new ideas, Mutant Year Zero: Road to Eden should certainly fit the bill.